Do you like sandals with anatomical plant? Inter Bios will surprise you with its new collection of flip flops and sandals, with a combination of bold, striking colors, choose your favorite color and enjoy the summer. The arrival of summer means to find a shoe that is comfortable and fresh, with Inter Bios you will feel the sensation of walking on clouds, thanks to its bio-anatomical plants, do not hesitate to discover new sensations. This summer this sandal Inter Bios, is available in tree combinations very urban and casual. -Black, the more sober tone of the range, and no doubt that is getting more adept each season. -Brown, combined with color leather and taupe, a basic and excellent composition. -Pistachio, combined with fuchsia and camel, original and very refreshing. The manufacture of strips have been used for skins of natural beef of very soft touch, with a greased texture to this more beautiful the more the usas. Unlined, to appreciate the quality and softness of the skin, also decrease the natural perspiration of the foot. With straps cross in the shovel and tucked between the toe. It has plant bio-anatomical, mixture of Cork and latex, and lined with soft plush fur. The floor is rubber micro-porous, very light and non-slip. 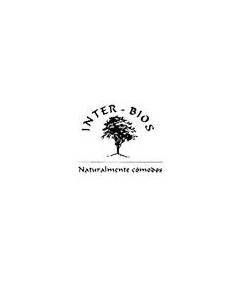 If you're a woman of urban and casual style, Inter Bios is designed the mark for you, with a large selection of flip flops and sandals with a combination of original colors and plant bio-Anatomical comfort. El envío me llegó a los dos días. Todo perfecto. Muy bonitas y cómodas. Muy buena marca, con muy buenos resultados. Se nota la calidad. El precio que tiene Calzados Rosi es muy competitivo, y el servicio de entrega a domicilio genial, muy rápido. Es mi primer pedido con ellos, pero seguro repetiré. Se han mostrado muy colaboradores para ayudarme. Y, en mi opinión, es un trato más cercano que con cualquier otro macro-vendedor. Recomendable %.